XYZMP3’s Digital Media Distribution platform to stream President’s speech live to iPhone©, PC, Sony PS3©, Sony PSP©, and Nintendo Wii©. XYZMP3 INC is proud to announce the convergence of media with its groundbreaking Digital Media Distribution Platform. 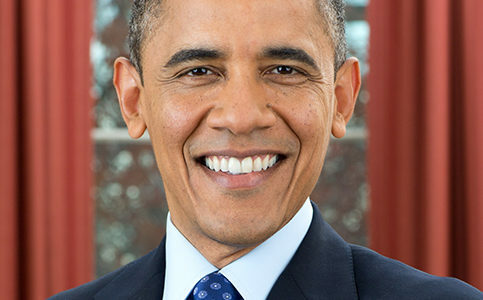 On Friday December 4 th at 11:00 AM EST, with the cooperation of Lehigh Carbon Community College, the first stop of President Obama’s White House To Main Street Tour will be broadcast live from one distribution point across multiple dissimilar devices including the iPhone©, Sony Playstation3©, Sony PSP©, Nintendo Wii©, and PC. “The media distribution process to this point has been fragmented at its best, and unmanageable at its worst. XYZMP3.com will bring all of the end points for media consumption under one umbrella; allowing the consumer to enjoy the content in their preferred medium,” explains Roland Deleon, CEO of XYZMP3. The XYZ Digital Media Distribution Platform receives the data and prepares it for distribution in the needed format. The platform obsoletes multifaceted plans of the past which made sacrifices at expense of end users. In its place is a single, all-inclusive content server that serves everyone. XYZ is excited about the opportunity to demonstrate the cutting edge of media delivery for the months and years ahead. The Platform acts as a digital-asset content management system and delivery network; including the ability collect subscription or pay-per-view monies from consumers, delivering royalty payments, and backend payment fulfillment to sellers. In addition, the Platform allows for “end user specific” advertising opportunities as well as interactive advertising; allowing for direct sales of products to the end user through their preferred media device. Lehigh Carbon Community College and their student radio station, WXLV, are thrilled to be involved in the launch of this pioneering technology. Not only will this partnership bring President Obama’s speech to the widest possible multimedia market, but will allow for a world of opportunities in multicast streaming in the future. enablement technologies; including video-centric, interactive marketing solutions. Through its end-to-end platform, XYZ works closely with consumer brands, content providers, and telecommunication companies to maximize the value of media content delivered via the Internet, mobile networks, gaming consoles, IPTV set-top boxes, and digital media storage devices. The XYZ platform allows clients to publish, manage, and distribute digital audio and video content; as well as build online/mobile communities with integrated advertising and media sales. Currently, XYZ offers businesses a full range of streaming interactive delivery solutions.